New Delhi: The government may have erred in focusing more on a consumption-led recovery from the economic crisis in 2008 while neglecting investments and the private sector, according to finance minister Pranab Mukherjee. The government cut service tax and excise duty in 2009 to stimulate the economy while farm loan waivers and the implementation of the Sixth Pay Commission for government employees provided additional cushion for a demand-led recovery. “The present indicators show that both private consumption and investment sentiments have weakened. It is this weakening of sentiments that makes it necessary to shift some of our focus back to near-term issues even as we recognize that some structural imbalances remain to be addressed," he said. As economic pressures mount, finance minister Pranab Mukherjee admits there are few effective monetary or fiscal solutions left and that new policies will be needed. Mukherjee said all nations have become vulnerable to some extent and India is no exception, although the impact has been relatively muted and the country’s macroeconomic fundamentals remain strong. “The conditions in advanced economies have inevitably transmitted to developing economies through various channels including loss of demand volumes, volatile fund flows, fluctuating commodity prices, and others," he said. 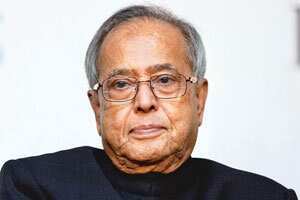 At a time when there is a fear of the economic contagion spreading from the developed countries to the developing countries, India needs to look for “practical policy options" and “innovative remedies" to face the challenges specially when scope for fiscal and monetary measures are limited, Mukherjee said. “In recent months, the government has sought to unlock economic bottlenecks through initiatives such as the national manufacturing policy, permitting greater FDI (foreign direct investment) in retail sector, direct taxes code, goods and services tax and various legislations including in the financial sector. We hope that greater consensus on these initiatives will help speed up their implementation," he said. Since India does not have control over the global scenario, it can get rid of the sectoral bottlenecks in land acquisition and mining, said D.K. Joshi, chief economist at Crisil Ltd.
“This will improve investment sentiment and it does not cost anything extra to the exchequer," he said. “It only requires political will." Over the medium term, employment creation is a key challenge as about 250-300 million new entrants to the workforce are expected over the next decade or so, Mukherjee said. “Skill development and training efforts will need to be stepped up. Financial inclusion and reforms are high priority and so is infrastructure across all sectors. Challenges of land availability and environmental sustainability have to be also addressed effectively over a longer time horizon." Recognizing that policy options before the government are “much more limited," Mukherjee said it is necessary in this context for policy makers to send clear signals. “On the one hand, markets are wary of mounting public debt in the absence of strong growth, which is a long-term issue. On the other hand, strong injections of liquidity by central banks seem to have done little to stimulate lending and borrowing, so far." “Instead, we are witnessing damaging spillover consequences, especially on asset and commodity prices and more recently in the foreign exchange markets that have strengthened inflation in some emerging markets," Mukherjee said. Domestically, the struggle against inflation and tightening interest rate regime has contributed to lowering of growth in demand and investment, he said. “The slowdown in industrial growth is of particular concern as it impacts employment." Industrial production shrank by 5.1% in October. The finance minister said that despite the declining trend, inflation is at unacceptable levels. Wholesale price inflation for November stood at 9.11%. There are also immediate concerns related to fiscal deficit and current account deficit.